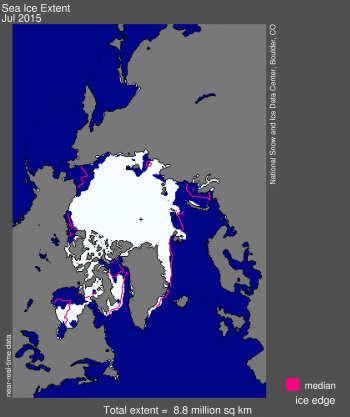 The Arctic Sea ice has melted enough to open a shipping lane north of Canada. It isn’t totally clear, but is clear enough to encourage shippers to use the northern route rather than the Panama Canal or going to the other extreme around the southern tip of South America. Bad news for the Arctic is good news for shipping, a small benefit.